If you are wondering why are plums good for you, there is more than one answer. If you're looking for a low-carb snack, plums are an excellent choice. Each small plum contains just 7.5 grams of carbs. Plums and prunes are probably best known for their mild laxative properties, and they are often used to help keep digestion regular. But if you are wondering why are plums good for you, there is more than one answer. It turns out that these tasty fruits offer many other health benefits, including lowering your risk for colon cancer. Plums are rich sources of some important nutrients. They are high in fiber, which is partly what makes them great for keeping digestion moving. 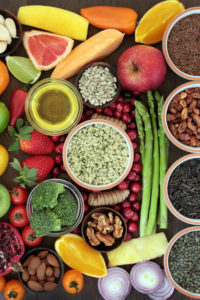 They have many important vitamins, like vitamin K1 (important for bone health), B-vitamins (important for energy, memory, cholesterol, control, and more), vitamin C (an antioxidant, immune booster, and heart-healthy vitamin) and vitamin A (necessary for healthy eyes, skin, and hair). Plums are also good sources of potassium, magnesium, manganese, and copper. Plums may help lowering cholesterol. Phenolic compounds, carotenoids, ascorbic acid (vitamin C), and α-tocopherol are all important antioxidants found in plums that help fight disease (especially cancer). Do Plums Really Fight Colon Cancer? Dried plums promote beneficial bacteria in the colon, a change that is associated with reduced incidence of precancerous lesions in the colon. Because they are high in fiber, plums reduce transit time of stool in the colon, which can protect the colon and reduce risk of cancer. Plum can bind to bile acids, including those that promote cancer, helping to remove them from the body. 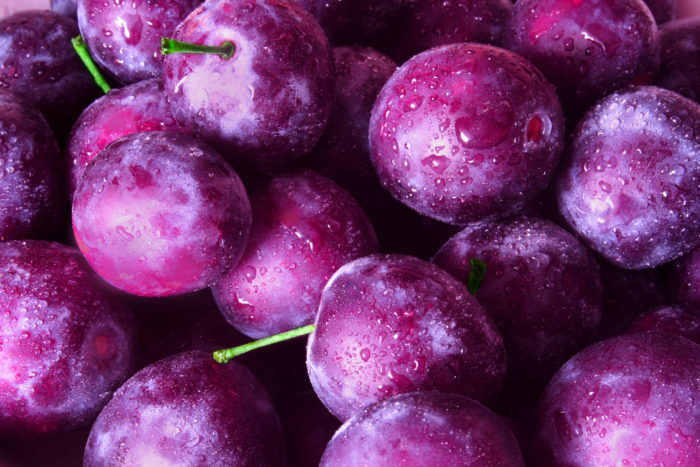 Plum extracts induce cell-death of colon cancer cells. Diets containing dried plums may reduce certain colon cancer risk factors. Due to a high antioxidant content, dried plums can help reduce oxidative damage associated with cancer occurrence. So far, there have been no studies in humans showing the effects of eating plums on cancer risk, but this growing body of laboratory evidence suggests that doing so could be important. Plums are easy to add into your diet any time of year. Fresh fruits are always a healthy option, because they undergo no processing and all the nutrients in the fruit are preserved. When you can’t find fresh, opt for dried plums or prune juice (but be sure not to drink juice loaded with extra sugars). If you don’t like the flavor of plums or prune juice, try blending them into a smoothie. Do you like plums? How do you eat them? Have you ever experienced any of the health benefits associated with them? Share your thoughts in the comments section below. Texas A&M AgriLife. 2015 Sept 24. J Nutr Sci Vitaminol (Tokyo). 2006 Oct;52(5):389-91. Originally published in November 2015 and has since been updated. add, antioxidant, antioxidants, Are plums good for you, b vitamins, bacteria, beneficial bacteria, bone, bone health, cancer, cancer cells, cancer risk, carotenoids, cholesterol, cholesterol control, colon cancer, colon cancer risk, colon cancer risk factors, diabetes, diet, digestion, fiber, food, health, heart healthy, lowering cholesterol, magnesium, memory, nutrients, osteoporosis, oxidative damage, potassium, risk of colon cancer, skin, smoothie, vitamin, vitamin a, vitamin c, vitamins.